1. When activating the software on a new computer*, you can deactivate all current activations after entering the email & product key. This will allow you to activate the software on the new computer. *A computer with a new part or operating system will be seen as a “new computer” by the activation system. 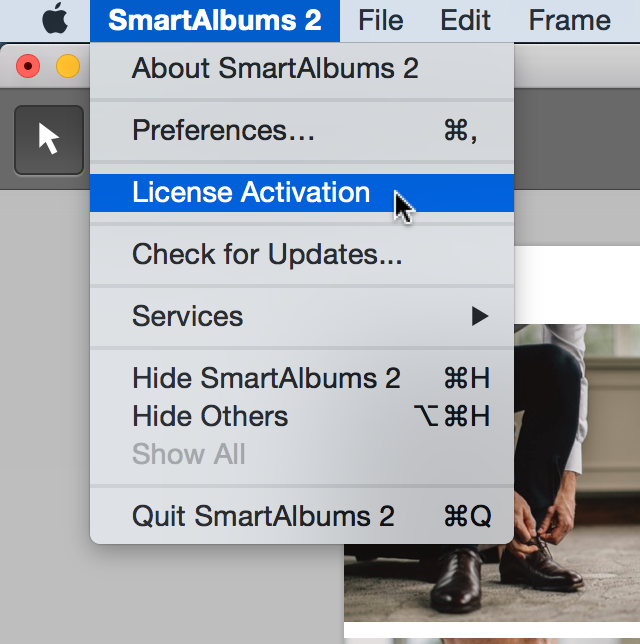 Step 1: Go to SmartAlbums > License Activation. Step 2: Select Deactivate All Computers or Deactivate This Computer.